Life insurance beneficiaries are responsible to file claims for the funds to which they are entitled. If you're a beneficiary of one or more life insurance policies, know how to file a claim and receive the money reserved for you. Find the Policies Before you can file a claim, you should find all the insurance policies or proofs of insurance certificates in which you may be named a beneficiary. Check filing cabinets, safes and bank safe deposit boxes for the documents you need. Remember to check for group policies, too. Contact the deceased person's former employers, banks, credit agencies, social groups and professional groups to find evidence of group policy coverage. 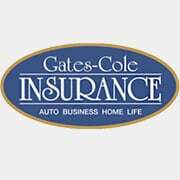 If you can't find any policies or certificates of insurance, contact insurance agencies that may have issued the policies. You can also search financial records for any evidence of life insurance premium payments, contact the state insurance department to find the policy or hire a reputable company to locate the policy for you. Contact the Insurance Agency Once you find the life insurance policies, obtain a valid copy of the deceased person's death certificate. Then contact the insurance agency that issued the policy. They will have paperwork for you to complete, so call the agency's policyholder services department as soon as possible to begin the claim filing process. If you cannot fill out the paperwork yourself, the insurance agent will do it for you, and you will only need to sign your name. Remember that you may also need to have to fill out IRS Form W-9. It allows the insurance company to notify the IRS if you receive an interest payment on the policy's value. The insurance company will give you more information about whether or not this form is needed. Wait for the Claim to be Processed Many life insurance claims are paid within a few days. You may elect to receive your life insurance benefits in several ways. Select a lump-sum cash payment and invest or spend the money or choose a settlement option. To receive the funds, the policy must be current, and all conditions must be met. Claims are most often delayed because the death certificate isn't valid, the person died within two years of the policy's original issue date or the policy contains false information.